Raise your hand if you’re a work-at-home mama. Having a hard time managing your writing? I’m writing this post as my twins are “napping” and it’s 2 pm. Aside from regularly updating my blog, I’m also a freelance writer. So, writing is an important part of my business. If I can’t write, then I don’t get paid. It’s in the best interest of my business, then, to try to squeeze as much productivity as I can within the small blocks of time I have to write. Maybe your situation is similar to mine – young children and a booming freelance writing business. 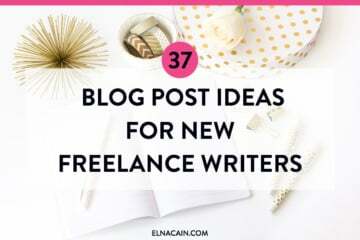 Or, maybe you’re a new freelance writer or blogger and wondering how you can juggle your client work, social media and blog while still caring for your family and home? Being a WAHM is tough. Right now I have a big load of laundry waiting to be folded on my bed (and there’s another clean bucket in the laundry room). I have dirty dishes piled up in my sink while I’m running the dishwasher from the morning dishes. And my twins aren’t even napping! They’re in their cribs jumping and singing songs. I put them down an hour ago. But, I have to work. I need to pay the bills. So, in order to continue to grow my freelance writing business, I’ve learned one easy and fast way to get more writing done. I can write more pieces in a day, pitch more in a day and even have spare time to write my eBook, a course for new freelance writers. As I started handling more clients and my writing for the week increased, I had to magically find more time to write. Sure, I can wake up early, before my children do, and write. But, I already have a hard time waking up my usual time of 8 a.m. So, I end up writing more at night. Instead of stopping at 9 p.m. I can squeeze in another hour. It’s not ideal, but it works. But, the biggest time saver for me, which has allowed me to take on more projects is outsourcing. Aside from hiring writers, I also outsource non-billable tasks. These things are either too time consuming or I know nothing about. My husband often helps me with my coding, bookkeeping and editing. He runs businesses and is helping me build my business. He developed my Innovative site and my FreelancerFAQ site. He also created my social sharing buttons and testimonial page. While I do most of my bookkeeping, my husband has helped me organize it and structured it so that the process isn’t too time consuming. So, I try to have my husband read my writing– after I run it through Grammarly – for the final proofread. It’s always a good idea to have someone else read your writing because they will catch things you’re not aware of. I also outsource some fact-checking and research to other writers. If I have a big project and it’s not within my expertise, I will hire someone else to gather up resources. It usually saves me about an hour or so. Outsourcing tasks that I don’t know how to do or take up too much time, has given me more time to write, pitch and market. If you’re interested in outsourcing, find the tasks that eat up the most time. If it’s social media, consider automating your tweets. If it’s email and “paper work” consider hiring a virtual assistant. Staying home and raising my twins is ultimately what I plan on doing. I cherish the moments I can eat lunch with my family and be able to put them down for their naps. They also offer me a break during the day and remind me that I can’t always focus on my business. Now it’s your turn – let me know if you’re a WAHM and how you can get more writing done for your blog and business. Hiring a virtual assistant is a good idea when you are a wham. It can help get things done faster. I never thought of that. I may actually start doing that myself once I get more clients or any clients. Thanks Elna your post was very helpful! I outsource some content to writers and that’s a great collaboration project for me! I can get research and some writing done for my many blogs and pay these writers too! I’m definitely with you when it comes to outsourcing Elna! being an issue going forward!LOL! Well, I know this post was a while back, but it came at just the right time for me. I’m not a SAHM or even a WAHM, but I desperately wish I could be. Really struggling to find time to fit writing in during my lunch break and the 1-2 hours after our toddler goes to bed. What struck me the most from this post is that you don’t spend much time on social media. This has made me aware that FB/Twitter are my biggest time pitfalls at the moment. Lately I haven’t spent much time on social media (like just browsing). But, I do promote my posts when they come out every week and update my FB and twitter daily or every other day. I rarely touch G+, LinkedIn and Pinterest. I know I should be on LinkedIn more often, but since I’m writing my course, I just don’t have the time to spare. When I first started freelance writing, though, you bet I was on social media promoting my business and expanding my brand. I believe in having a strong social presence as a precursor to sucess in the freelance writing world. Without a social presence, no one knows you and it’s really hard to land any clients. I’m just getting started in the freelancing field and I refer back to your site often. It gives me a lot of information and motivation! Keep up the good work! Thanks! Glad you like my blog and you are learning about freelance writing! Good luck on your choice. Elna, your description of your “de-prioritized” housework is a carbon copy of the mess I’m currently living in! Thanks for revealing your productivity secrets as a WAHM. I’m looking forward to my biggest kid starting preschool in a few weeks so I can (hopefully) get more writing in while the baby naps! Good to know I’m not alone! Thanks! Having children and running a business is stressful to say the least. You really need to be on your “schedule” ball game. And that’s hard coming from someone who doesn’t normally abide by a schedule. Editing also helps improve the overall presentation. I love editing even though I end my taking more time editing than writing. Editing other people’s work not only sorts out their issues but also gives a learning to improve my own writing. The outsourcing tip was quite useful. It’s better to save time for something that is more critical and important for business. Love this — I don’t have kids myself, but that doesn’t stop these tips from being 100% applicable! Though it’s hard to make the transition from doing everything yourself, eventually you need to outsource the non-billable stuff. Otherwise, it really does take up all your time! And no matter what their circumstances, every writer should have another pair of eyeballs look over their work. It’s amazing how much we can all stink at editing from time to time! I agree with having another person read over your work. Often times I write my post and think, this is fantastic, only to get remarks about poor flow, transitions and inaccuracies..ha..
I’m like mega busy now so am very glad I have people to help me with my business! Great post, Elna. I really look forward to getting to a point when I can outsource things like social media and picture editing, it’s so time consuming! But I am grateful that I know the ins and outs of both now so I can appreciate the value in it later! 🙂 I’m still grass roots so I’m earning my stripes with a smile! Sounds great! Not many people consider outsourcing once their business takes off. You just feel overwhelmed and unable to handle everything. I know for me, having help has really HELPED me. I’m not as stressed and I know I can meet my deadlines when the times comes. While time management is key in any business, as a WAHM time is hard to come by. That’s why outsourcing is valuable for us! I’ll go finding the right help so I can get on with the actual business and be able to root you and others on too. Thanks for the encouragement and great posts! I can see my upcoming eBook on freelance writing will be a big help to many people. I’ll be sure to tackle this issue burning out and ways to avoid it in your career. AHA! Finally I get it ;o) I had been wondering how both you and Gina do it?! 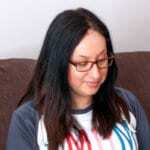 Since April I have read about 20 books on building (and actually doing it) my own website, finding the right apps to help me with my editing, bookkeeping ( I set up a program for that too) and so on. Between looking after my kids who (unfortunately) do not sleep anymore and have a 10 week summer holiday, doing the regular housework and taking online courses on creative coding for instance….I barely find time to also check emails, twitter or getting a hang of social media. 4 more weeks until the end of this summer holidays and then I’ll be pestering everyone constantly to please help me get to grips with this. Just reading what you wrote got me frazzled! Everyone is SOOO busy right? Especially if you work from home and have kids. I pray to the Gods every day thanking them my twins STILL nap pretty much every day. I don’t know what I’ll do once they drop their one and only nap? Hopefully by then I’ll have a steady stream of passive income and not have to work so darn hard doing all this. Congrats to you for putting in the time and doing things yourself! My husband is a BIG help for coding and doing a lot of the back end of my sites. Without him, I don’t know whether or not I could’ve have done this – or had the time to learn it myself. Get the help! I guarantee you’ll be more productive and more focused on what really matters – building your brand/business and landing clients. Thanks for the comment and keep in touch. Let’s root each other on okay? I just wrote a post about outsourcing today too:-). It makes sense to pay people to do things you’re not good at or not excited about and instead use your time getting better or implementing the things you’re already good at. That’s my philosophy anyway! I’ll be sure to read your post on outsourcing. Having outsourced tasks that bore me or can’t do – like you mentioned – has helped me tremendously increase my time to write for my clients and time to write my eBook. Some people don’t realize that just hiring an editor to proof read your work can save you hours in a day if you write many pieces. Dear Elna. I’m not a stay at home mom anymore,as my children are grown. However,I am trying to get my Freelance writing business up and running to be able to work from home now. I took a pretty bad fallback in April,messed up my rt knee and leg,even more(both knees were already bad),and with other worsening health issues,decided it was time for a change. Add severe insomnia to the mix,along with the chronic pain,makes for very little sleep. I write quite a bit late at night and into the wee hours of the morning. I am praying I soon make some money,since I have not had an income since May. I thoroughly enjoyed your article,and can certainly relate to how precious time is for a writing career while at home,dealing with a host of different things. Take care. Sincerely, Karen S.
Thanks so much for your story! I’ve had my share of injuries since I started freelance writing. RSI and some carpal tunnel syndrome, but after changing my home office to make it more ergonomic, my pain has gone! I’m in the works of writing an eBook for people interested in freelance writing – just like you! And I’m also working on some type of boot camp to work closely with a small group of students. I wish you the best! 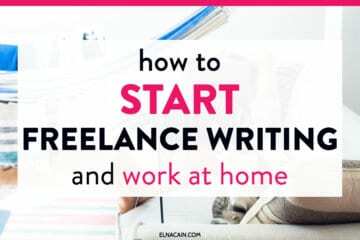 If you take a look at my Freelance Writing Jobs for Newbies series, you might be able to find some great tips on landing your first client! Drop in and stay connected!